Everyone’s Genome Is Different. That’s Why Scientists Are About to Sequence a Million of Them. The first time scientists sequenced the entire human genome, it took 13 years and nearly $3 billion dollars. It was an incredible accomplishment. But now a program called All of Us wants to blow it out of the water by sequencing the DNA of a million volunteers. One goal is to better understand variation between different people’s DNA. Another is to develop better tailored treatments — presumably ones with a genetic component, like Parkinson’s or certain cancers. Since the Human Genome Project wrapped up in 2003, it’s become dramatically faster (and cheaper) to sequence a genome. If all goes according to plan, the All of Us program will sequence a huge swathe of the population. Then the program, which is part of the National Institutes of Health, will make that extraordinary trove of data available to researchers. All of Us hasn’t said how long the project might take. But this week the NIH kicked off the project by awarding $28.6 million to genome centers at Baylor College, the Broad Institute and the University of Washington, which will carry out the sequencing work. The three centers will sequence the DNA of volunteers from all over the country. About 110,000 have registered so far, according to the NIH. 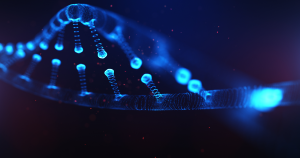 Along with genetic material they’ll provide access to their health records, fluid samples and fitness tracker data so that researchers can look for relationships between their DNA and health. All that data will doubtless lead to a better understanding of humans’ genetic code. But the NIH also hopes it will lead to new breakthroughs in treatments and preventative medicine. More on genetic sequencing: 15 Years Ago, We Sequenced the Human Genome. Now We Can 3D Map It.